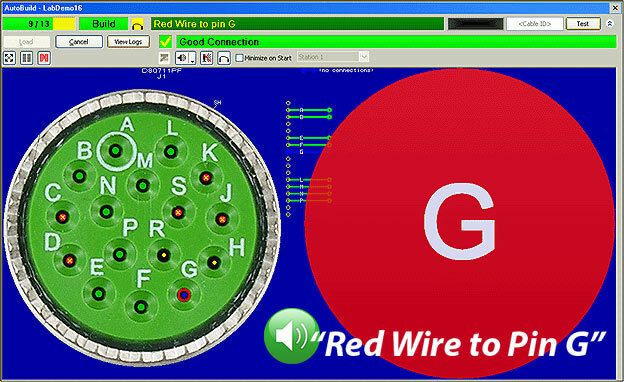 Our optional, add-on AutoBuild™ software (Item 728) offers Guided Assembly for cables and wire harnesses. 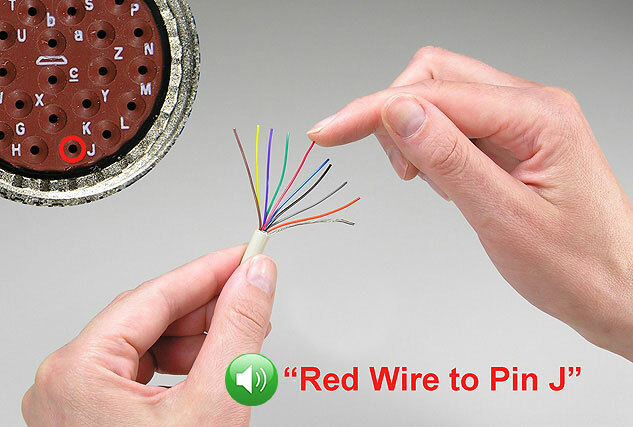 Use a supplied probe, or a finger with wriststrap, to touch an unterminated wire (see photo below) and the software shows exactly where the wire should be connected (see screen image below). As the operator attaches each new wire, AutoBuild checks the entire assembly and provides a clear checklist showing all completed good connections. When using our resistance-capable testers, you may connect diodes and resistors by name and value, check resistance values over the tester's specified range, and test conduction and isolation resistance against specified thresholds. 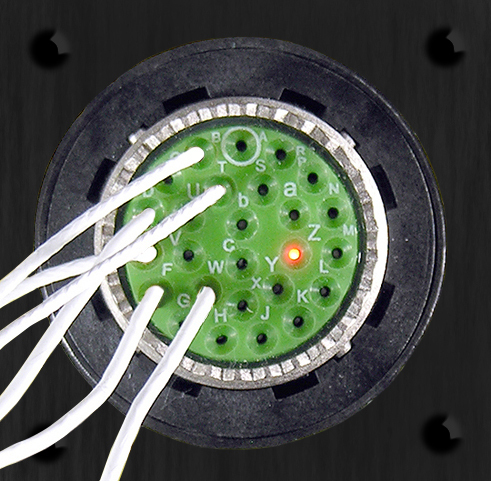 Programmable tones accompany the graphic screen to give clear signals to the operator when good connections are completed or when incorrect connections, resistance violations, or diode insertions are detected.